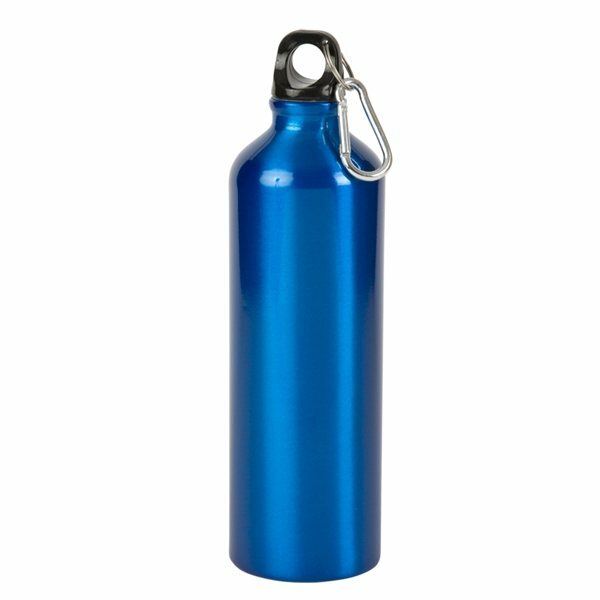 The Alpine Aluminum Sports Bottle is a durable aluminum 25 oz sports bottle with a miniature carabiner attached to the lid. 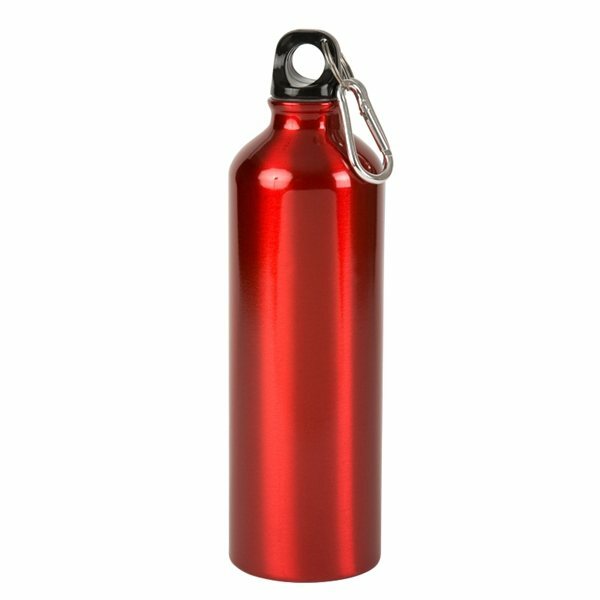 These screw-top aluminum carabiner bottles are great for sports as well as outdoor activities like hiking or bike riding. Available in four different colors with Screen Printing or 4 color process printing on an imprint area of 4" x 4" (or 2 1/2" x 2 1/2"). 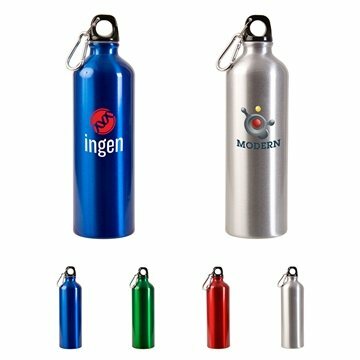 Custom Aluminum Alpine Sports Bottles are a customer-voted "Top 100" item because it offers a sleek design with a high-end look for a low-mid budget price. If you're searching for a modern bottle that people will hang onto for years to come, these aluminum drinking bottles are an excellent choice! 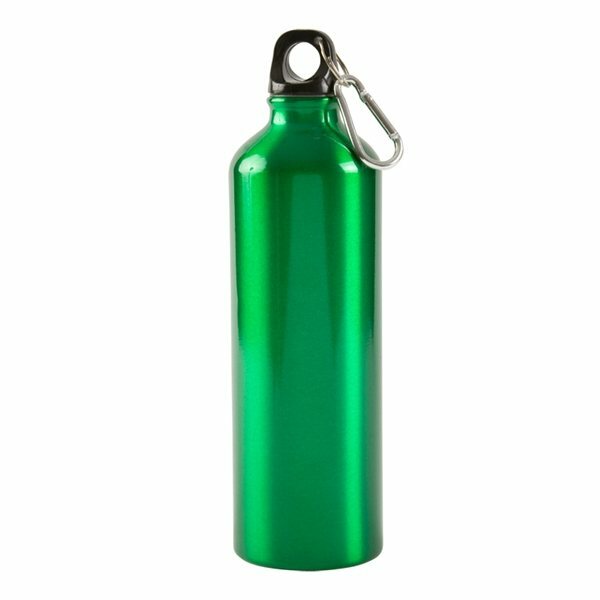 Not only does the Custom Aluminum Alpine Sports Bottle color come in various color options for easy branding; but it also offers rush availability when you need your products in a hurry! 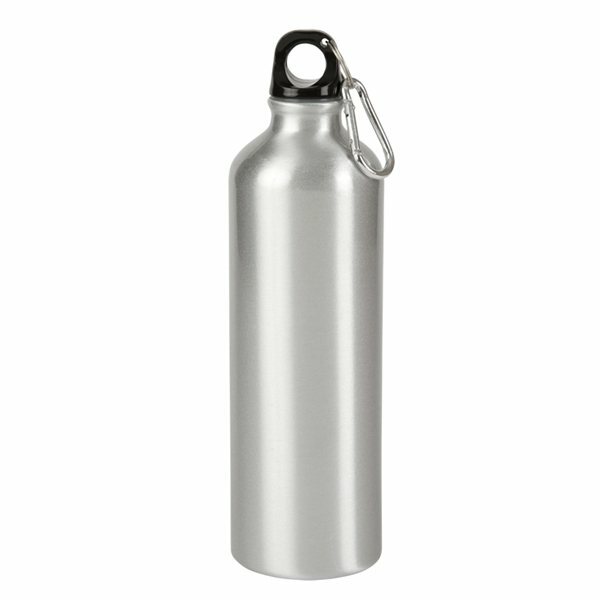 An Alpine-themed durable BPA-free 25 oz Aluminum sports bottle is safe and stylish. Need custom sports bottles in a hurry? We've got you covered with free 1-day rush!. Very pleased with the quality of the Aluminum Alpine Sports Bottle. It is lightweight but durable. 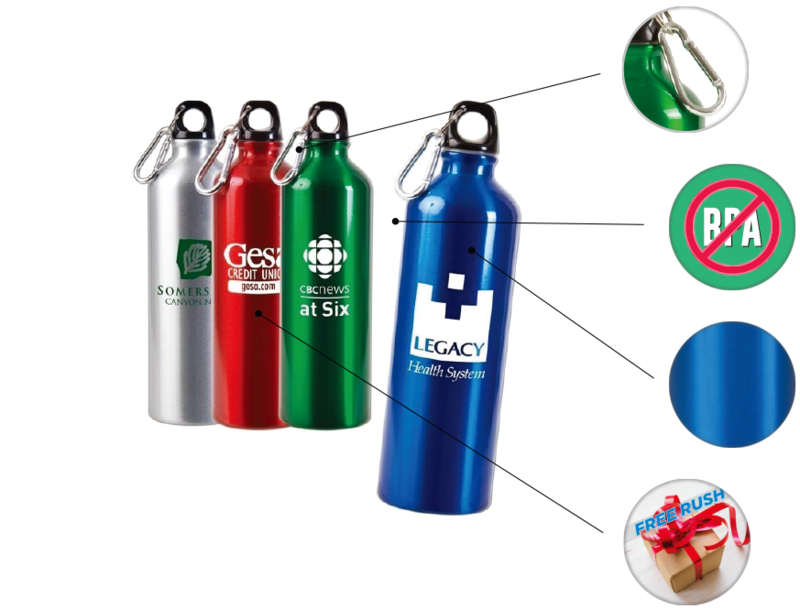 The high quality of the logo graphic application on the bottles made these popular gifts for our volunteers. Nice looking bottles, can't beat them for the price. The metal is a bit thin so you can dent them somewhat easily. The bottles came out perfectly, which is always somewhat a question when I review images online. We couldn't be happier with the quality, service, and promptness, particularly at this busy holiday season.